this is one of the smallest sanctuaries in Kerala. Established in 1984, it adjoins the State Farm in Aralam at Kannur district and is headquartered at Iritty, a small town that lies 10 km to the east. About 490 hectares of teak and eucalyptus plantations populate this bio-rich forest range that houses diverse plant and animal life. The tallest peak here is Katti Betta, scaling to a height of 1,145 m. The hilly terrains provide ample opportunities for trekking while the predominantly evergreen forest teeming with various species of flora and fauna sets the stage for some delightful outdoor activities. 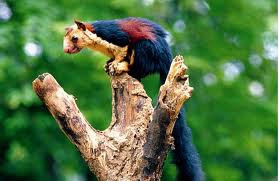 Home to a variety of birds and animals including elephants, sambar, bison, leopard, boar, deer, jungle cat and different species of squirrels, the Aralam Sanctuary is a haven for wildlife enthusiasts. An overnight stay in the forest watchtower provides ample opportunity for spotting the wildlife. The Meenmutty Waterfall near the watchtower is an ideal place to relax. Another interesting pursuit is the trek from Valayanchat to Meenmutty covering a distance of 14 km. 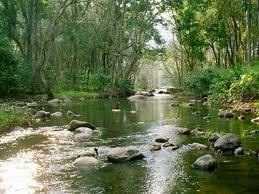 The placid Aralam River, not far from the Sanctuary, is an ideal picnic spot. has bought 3060 hectare Aralam farm from the State Farming Corporation of India. a 3060 hectare farm started in 1971 by the Government of India. This is one of the main production centers of hybrid coconut seeds in the country. Half of the land is provided for adivasis ( tribal peoples ) in Wayanad and Kannur district. The sanctuary is situated on the slopes of the Western Ghats and it includes parts of 3 beautiful towns nearby named Aralam, Kelakam and Kottiyoor. The 55 sqkm sanctuary/forests is home to a wide variety of flora and fauna. The main water source which nourishes this sanctuary is Cheenkannippuzha. Narikadavuthodu, Kurukkathodu and Meenmuttithode nourishes this river. Chavachi and Meenmutty Waterfalls are a must-see, while the nearby Ambalapara Peak is also worth a visit. Eco-tourism is promoted in a big way in this forestland. Enthusiastic trekkers can look forward to a 20-km trek route that commences from the beginning point of the sanctuary and ends at Ambalapaara (1400mts above sea level) located on the border area of Wayanad. Camping equipment like tents and sleeping bags are made available to the trekkers. Location: 45 km east of Kannur, 35 km northeast of Thalassery. Altitude: 50 m to 1,145 m above sea level. The highest peak is Katti Betta. Air: Nearest airport is at Kozhikode, 115 km southwest. Rail: Nearest railway station is Thalassery, 45 km away. Kannur Railway station is 60 km away. Road: 45 km from Kannur and Thalassery. There are a large number of buses from Thalassery and Kannur to Iritty. Accomadation:Various accommodation facilities are available in this area.Nearest stay is at Iritty town, 20 km from the Sanctuary. 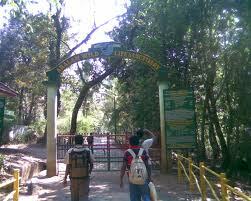 Night camping with minimum facility is available at Meenmutty as well as dormitory facility for 40 persons at Aralam. 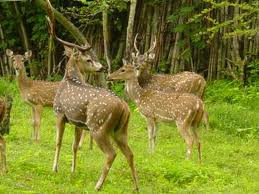 Posted in ECOTOURISM, KANNUR TOURISM., KERALA TOURISM.